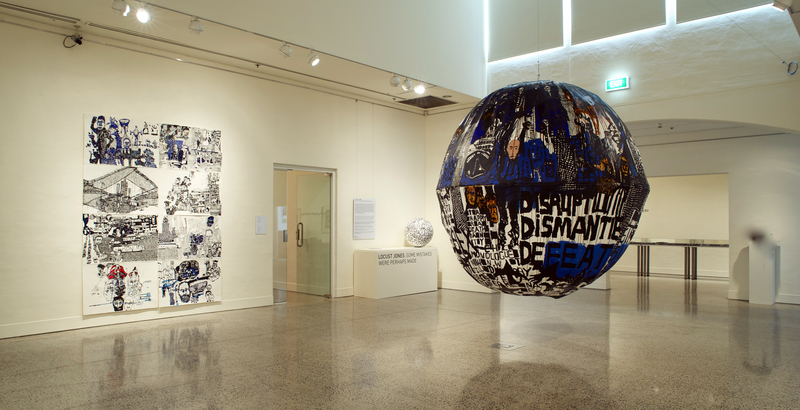 Locust Jones, Breaking News 2011, ink papier-mache. Locust Jones, Blow by Blow 2011, gesso, ink, acrylic, shellac on canvas stretched over wood and metal frame. Photo by Clare Lewis. 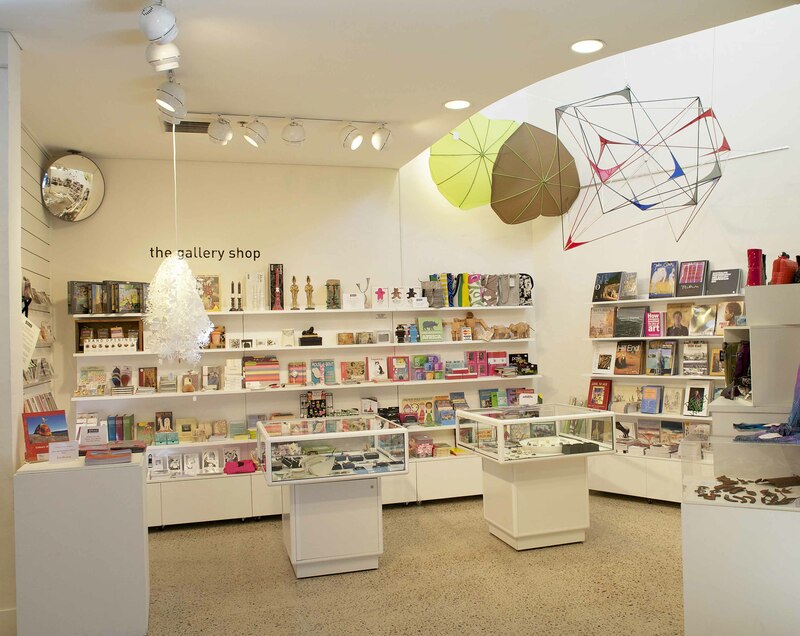 The BRAG Gallery Shop 2012. Photo: Clare Lewis. 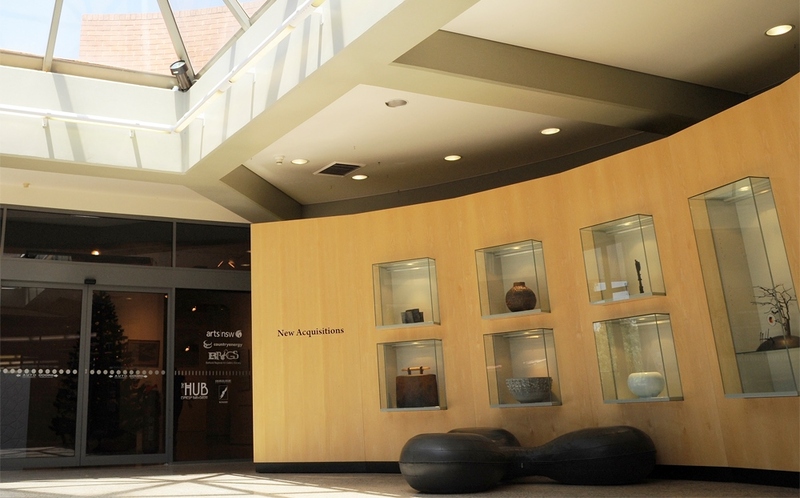 The Bathurst Regional Art Gallery collection was established in 1955 and the building the gallery now occupies was constructed in 1989. Now run by Bathurst Regional Council, it welcomes 30,000 visitors a year. The gallery is known for its in-house and touring exhibitions, as well as the Hill End Artists in Residence program. BRAG stages approximately 25 exhibitions per year, including touring exhibitions, specially curated exhibitions, community exhibitions, local artist projects, exhibitions curated from the permanent collection and the work of Hill End artists produced as part of the gallery’s artist residency program. The design of the gallery allows for three to four exhibitions to be held at a time, with an exhibition changeover every six weeks. Since 1955 the gallery’s collection has grown to include more than 1,300 works, valued at over $8.4 million. It features paintings, sculpture, works on paper, photographs and ceramics by 400 Australian artists, including Jean Bellette, Donald Friend, James Gleeson, John Olsen, Lloyd Rees, Grace Cossington Smith and Fred Williams. BRAG has a gallery shop that stocks a large range of locally made products and art books and catalogues. There is an extensive resource library in the Rees Room. BRAG also has a meeting room and several exhibition spaces which can be hired by the public for events. Stocks an extensive range of art books including The Artists of Hill End.